Two French Bulldogs: String Beans or Churros? we were taking a walk and I saw a string bean tree. it's a Mexican churro tree. So... is this where string beans or churros come from? Not sure what that is. Lily looks kind of worried. I hope that it is a churro tree. 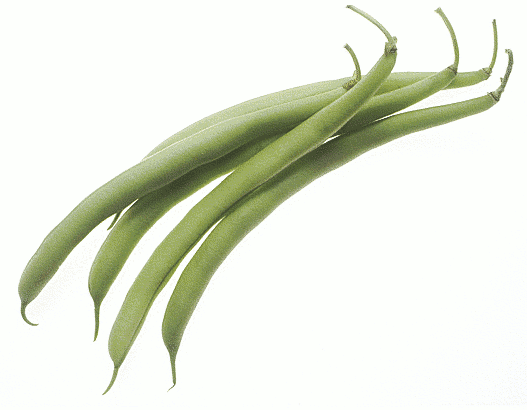 We do not knows where churros comes from but green beans comes froms our refridgerator. We knows this beclaws Mommy puts them in ours foods beclaws she says we are getting fat! How Rude!!! Bobo and Meja are right! String beans come from the refrigerator! That's a churro tree! Gee....I dont know bout that!! My green beans come right from the freezer!! Ha! Hmmm. Benny and Lily, we hate to break it to you, but neither string beans OR churros come from that tree. Those pods are just plain wierd. 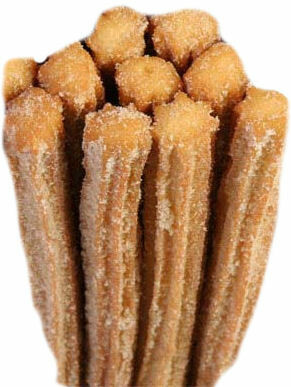 We vote for churros for lunch though! Oh my, I'm no green dog, so I'm not sure. And yep, like Jazzi, my green beans come straight from the Cold Box. You've got me on that one. What's the answer? I know where the beans come from for sure. Our garden! Now if I could just convince Master not to put that dumb fence up. Nom, nom, nom. Wow. I've never seen anything like that. Weird and wonderful I would say. Hmm, looks like they just need to be rolled in cinnamon sugar to be churros! Our green beans come out of the freezer and we've never seen a churro, so we're no help. Hope it's edible, whatever it is. I guess you will have to agree to disagree..
Mum says it looks like a carob tree... though they don't normally grow in North America. My papa's nonna is from Sicily and she uses carob to make cough medicine, but it can also be used instead of Chocolate. Mom doesn't give me any of that stuff soo I'm not sure what it is but looking at the pictures and reading the comments I would have to go with the churro cause it sounds good! I don't know, but if Churros come on trees, I want one!! Only one way to tell- gotta sample it!! They look a little like super ripe skinny bananas , but since we all love churros, we vote for churros. If they fall to the ground, they would be a lot tastier than green beans. We think it looks like a bully stick tree!! We'll be right over!! I love them!... Well... the green beans are yummy too! But... not sure both of them come from a tree! I khan understand your khwandry! Afraid I'm of no help on this one... what's a churro? Woo! If it's a Churro tree, I've GOT to see if Mom will plant one for us!!! That'd be way better than a string bean tree. Yes, Churros!!!!!!!!!! Gosh, I would know I was in heaven if I had one of those growing in my back yard..